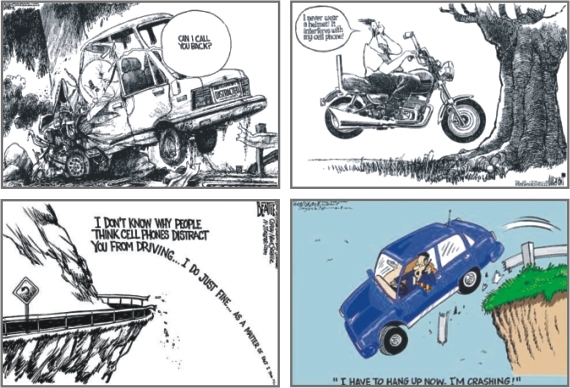 The above cartoons give the message that one must not talk on the cell phone while driving. Cell phones are tools for communication. These should be used properly, and definitely not while driving.